Recently I received a bunch of emails asking how to install java libraries. So, in this tutorial I’ll show you how. 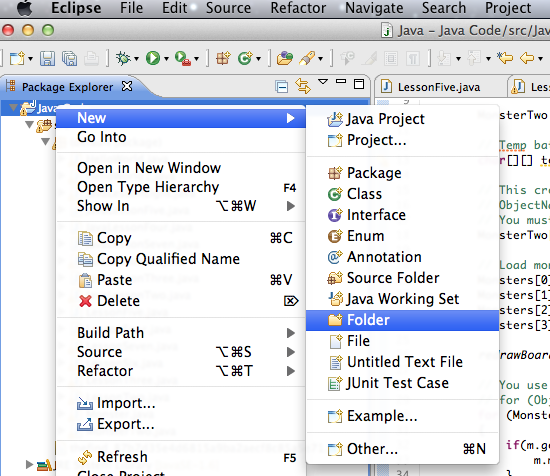 Since I use Eclipse in all of my tutorials, I’ll show you how to install java libraries with Eclipse. 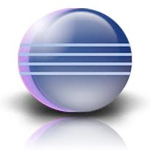 I use Eclipse because it is free and looks the same on every operating system. 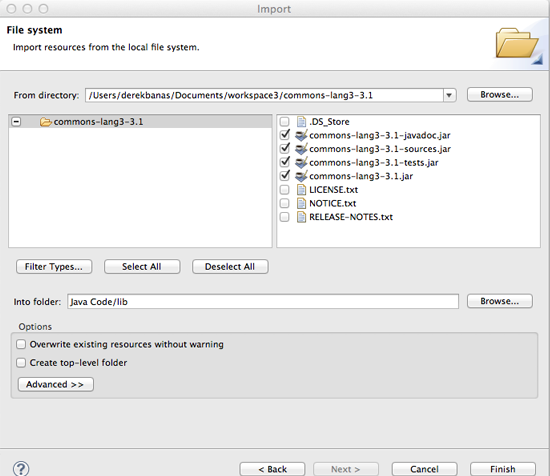 Specifically I’ll show you how to install the very popular Apache Commons Java Library. This is real simple. Go to this page Apache Commons and download and unzip this commons-lang3-3.1-bin.zip. Here you’ll see a series of images that will walk you through the installation of the Apache Commons library. 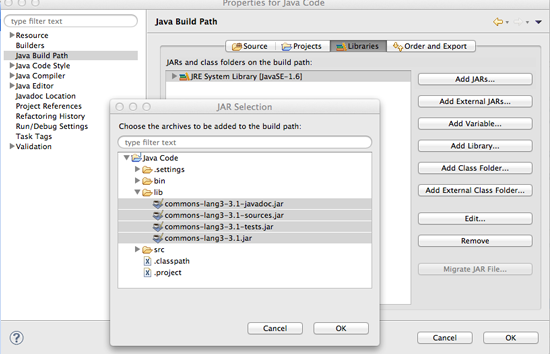 As you can see, this series of steps will work for any Java Library. 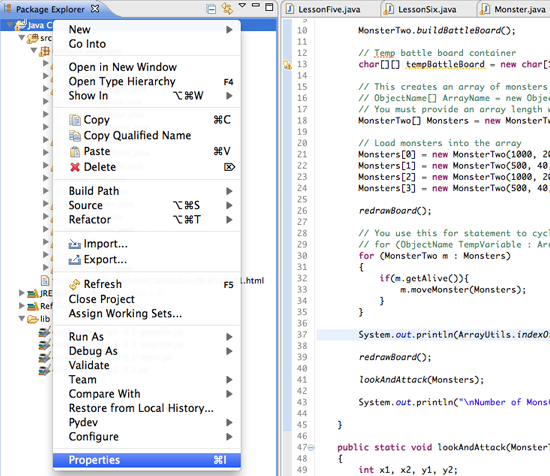 Of course you need to have Eclipse. 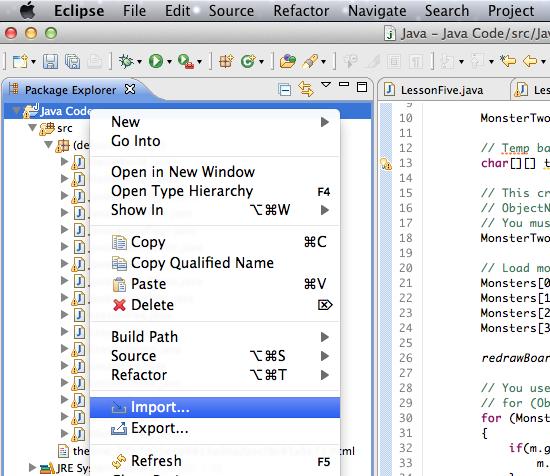 I use the version of Eclipse named Eclipse IDE for Java Developers. Now open Eclipse and follow what you see in the pictures below. 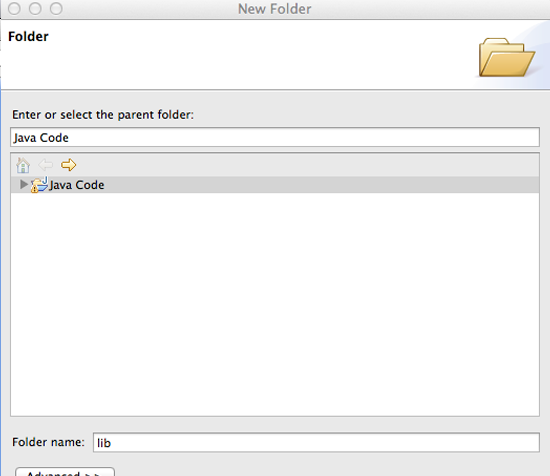 Create a new folder named lib as you see below. Right click on the top most folder again in package explorer and click import. Select General and then File System. Right click on the top most folder again in package explorer and click properties. Click Libraries, Add Jars, Select the jar files and hit OK.
That’s it! If you want to learn java, I have a pretty nice Java Video Tutorial. I hope that helped you out. If you have any questions leave them below. Hi there — Thanks very much for this. For other libraries, how would you figure that out? hello there, thanks for your nice turorials, I found all of them great! 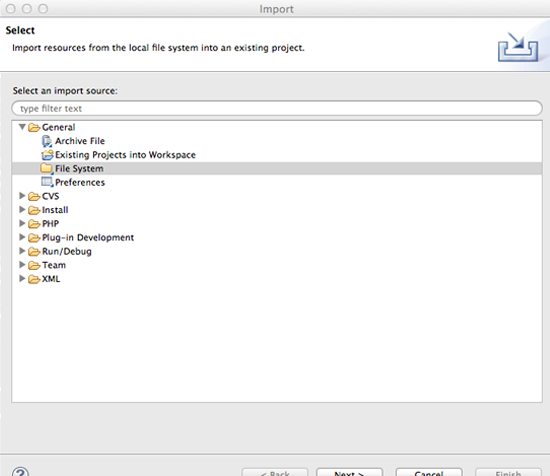 I wanted to install java library in Netbeans, since I work in Netbeans not Eclipise. Can I just do the same way as you taught here? Thanks again. 2. Just before the import instructions, “unzip the file commons-lang3-3.1-bin.zip”. There are to suggestions that I would like to make to your great set of instructions. This is amazing! Your tutorials are clear and more than comprehensible! I’m still mulling over the underrated views you get in YouTube. The world need more man like you sir! Thank you 🙂 You are very kind to say that. I can find that folder! Help I don’t know where to look. Hi Derek, I add the the jar files to the library but every time I try to import the Apache Commons library it says that The import org.apache cannot be resolved. Am I suppose to add the files to the System Library itself? This should help. You need to add the required jar to your build path.Right click on your project in the Package Explorer,then select Build Path -> Configure Build Path, click on Libraries then click on Add JARs. Now point your required.jar from the Add JARs dialog. I had the same problem and you probably saved me an hour or two of research with that response. Thanks. I’m enjoying the videos. For anyone who gets a NoClassDefFoundError when trying to use these, do this.